What are we to imagine when Gen 6:1–4 describes heavenly beings as entering into a sexual relationship with human women, from which liaisons giant children are born? Such seems rather to belong to the realm of Greek mythology, but hardly fits within the biblical tradition. See Also: The Sons of God in Genesis 6:1–4: Analysis and History of Interpretation (Old Testament Studies 76. Leiden: Brill, 2019). In Paul and Scripture, an international group of scholars discuss a range of topics related to the Apostle Paul and his relationship(s) with Jewish Scripture. The essays represent a broad spectrum of viewpoints, with some devoted to methodological issues, others to general patterns in Paul’s uses of Scripture, and still others to specific letters or passages within the traditional Pauline canon (inclusive of the disputed letters). The end result is an overview of the various ways in which Paul the Apostle weaves into his writings the authority, content, and even wording of Jewish Scriptures. SETBACK: Israel's Beresheet Spacecraft Crashes Into Moon During Landing Attempt (Mike Wall, Space.com). The Beresheet probe did manage to orbit the Moon and it did land on the Moon, but not successfully. It was just under 150 meters above the lunar surface when problems began. There was trouble with the main engine. They lost contact with the probe shortly afterward. As far as I can find out, they never regained contact. Presumably the probe crashed and was destroyed. You can see the recording of the broadcast in the video below. Things start to go wrong around 35 minutes in. In minute 36, there is an announcement that there is a problem with the main engine. They reset the spacecraft and the engine comes on again to applause. But another voice seems to protest that all is not yet well. An announcement comes at 37:19 that contact with the spacecraft has been lost. Then at 39:30 the announcement comes that the probe failed to land. This was still a great achievement. Space travel is hard. It is impressive that the project got so close to full success on such a small budget. Let's hope that next time (and all indicators are that there will be a next time) they will achieve a soft landing. Meanwhile, the Space X Prize is still awarding the project $1 million for reaching the surface of the moon. Background here, with commentary on the name Beresheet, "In the beginning." KARAITE-AND-CABLE-CAR-CONFLICT WATCH: Jerusalem Is Finally United - in Opposition to This Plan. The Karaite Jewish sect, Palestinians, tour guides and renowned archaeologists and architects have filed complaints about what they see as an offensive, intrusive project linking East and West Jerusalem (Nir Hasson, Haaretz premium). Aaron Yefet, a member of a Karaite family, died in 2014 and is buried in the community's ancient cemetery in the Hinnom Valley, abutting the Old City walls. His widow and children submitted a formal reservation last week to the cable car plan. “It is most aggravating to see that the attitude of the authorities to the Karaites and their cemetery has been one of total disregard – not to mention the contempt and serious, shameful and outrageous offense done to the deceased and their families,” stated the complaint, which was submitted by attorney Eitan Peleg on the family’s behalf. The protest by the Yefets and by others in their community was spurred by the discovery that the project's planners were aware of the cemetery and had even intended to build a roof over it to serve as a barrier so that kohanim – members of the Jewish priestly class, who are not permitted to enter cemeteries due to the fear of ritual impurity – would be able to use the cable car. To be fair, the Jerusalem Development Authority tells the story somewhat differently. Read the whole article for details. Background here and links. And for many other posts on the Karaites, start here (cf. here) and follow the links. PROFESSOR SACHA STERN: What Is the Bible’s Calendar? (TheTorah.com). The Torah prescribes the observance of festivals on very specific dates, but does not explain how the calendar must be reckoned: Is it lunar? Is it solar? Does it follow some other scheme? And why is the Torah silent on this? There's no particular reason that either the Bible or the Torah have to have a single answer to this question. There were competing Jewish calendars in the Second Temple Period (as the essay discusses). 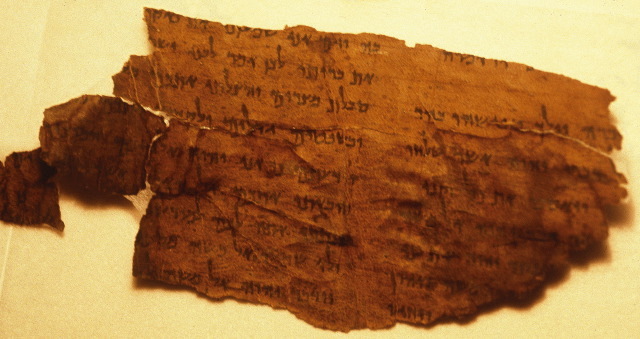 Some past posts on ancient Jewish calendars are here and follow the links. And I have collected posts on the somewhat related question of the chronology of the Gospel Passion narratives here. BRYN MAY CLASSICAL REVIEW: Luc Brisson, Séamus O'Neill, Andrei Timotin (ed. ), Neoplatonic Demons and Angels. Studies in Platonism, Neoplatonism, and the Platonic tradition, volume 20. Leiden; Boston: Brill, 2018. Pp. ix, 294. ISBN 9789004374973. €138,00. Reviewed by Cesar Sinatti (cesare.sinatti@durham.ac.uk). In conclusion, Neoplatonic Demons and Angels will be a useful resource for scholars working on ancient demonology and angelology, offering detailed information and insightful thoughts on specific authors and issues, together with awareness of the most recent scholarly debate. The book could have engaged more with the philosophical potential of the notion of a mediating entity, but it nonetheless marks a significant advance in reconstructing the discussions around demons and angels, and will provide useful insights for future scholars to work on. I have also noted Professor Anderson's reviews of the earlier episodes here and here. I myself have not seen any of the series. HOLY LAND PHOTOS' BLOG: Palm Sunday and “Holy Week.” In this post, Carl Rasmussen begins a series with photo links for Palm Sunday (which is this Sunday, 14 April) and the following week. GOOD NEWS: TEMPLE MOUNT SIFTING PROJECT TO RELAUNCH FOR JERUSALEM DAY. A third of the removed Temple Mount soil remained unsifted and is in danger of being lost by erosion (Maayan Jaffe-Hoffman, Jerusalem Post). That's on 2 June. The Temple Mount Sifiting Project Blog also has a post with additional details: Two Important Announcements. But the bad news is that the prospective funding by the Israeli Government has not (yet) appeared. For many past posts on the Temple Mount Sifting Project, start here (cf. here and links and here) and follow the links. BUT NO APPREHENSIONS: HASMONEAN-ERA BURIAL CAVES NEAR JERICHO ALLEGEDLY LOOTED BY LOCAL ARABS. The caves form part of an extensive burial ground of what's believed to be a Hasmonean palace, which was discovered in the area recently after agricultural and landscaping work was being done (Ilanit Chernick, Jerusalem Post). I see no indication that the looting, let alone who may be responsible for it, has been independently verified by archaeologists or the IAA. But let's keep an eye on the story. RELIGION PROF: ReligionProf Podcast with Deb Saxon (Extracanonical Texts in Musical and Animated Settings). Cross-file under New Testament Apocrypha Watch and Old Testament Pseudepigrapha Watch. PHOTO ESSAY: 7 Biblical Sites Ravaged by Modern-Day Looters (Owen Jarus, Live Science). Good coverage of a sad topic. You can find more about these sites in the PaleoJudaica archives. BIBLIOGRAPHIA IRANICA: Irano-Judaica VII. Notice of a New Book: Rubanovich, Julia & Geoffrey Herman (eds.). 2019. Irano-Judaica VII: Studies Relating to Jewish Contacts with Persian Culture throughout the Ages. Vol. VII. Jerusalem: Ben-Zvi Institute for the Study of Jewish Communities in the East. In one post, Student Internships on the ‘Forging Antiquity’ Project, Malcolm Choat reports that four research internships associated with the project are being awarded at Macquarie University, and a fifth associated with the "“Ancient Egyptian papyri" ARC project. The second is a report by 2018 student intern Mark Matic on his work: My Internship on the Forging Antiquity Project for 2018. By the end of the internship, research assistant Vanessa Mawby and I had collected data for 180 forgeries. Among these were compositions and copied texts written on a variety of materials in Greek, Demotic, Hieratic and Coptic. The project included work on a fake biblical manuscript made by the notorious nineteenth-century forger Constantine Simonides. More on him here and links.